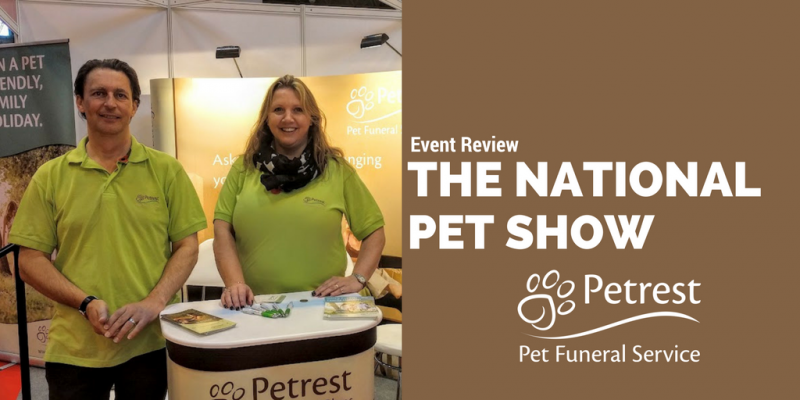 We have just got back from the National Pet Show in Birmingham and had a wonderful time! A whole weekend full of pets of all shapes and sizes, what’s not to love?! We arrived just after 2pm on Friday, having travelled up from our head office at CPC Cambridge, to the NEC in Birmingham. The site was a buzz, full of eager stall owners ready to make a great impression over the weekend. We were situated at stand A336. 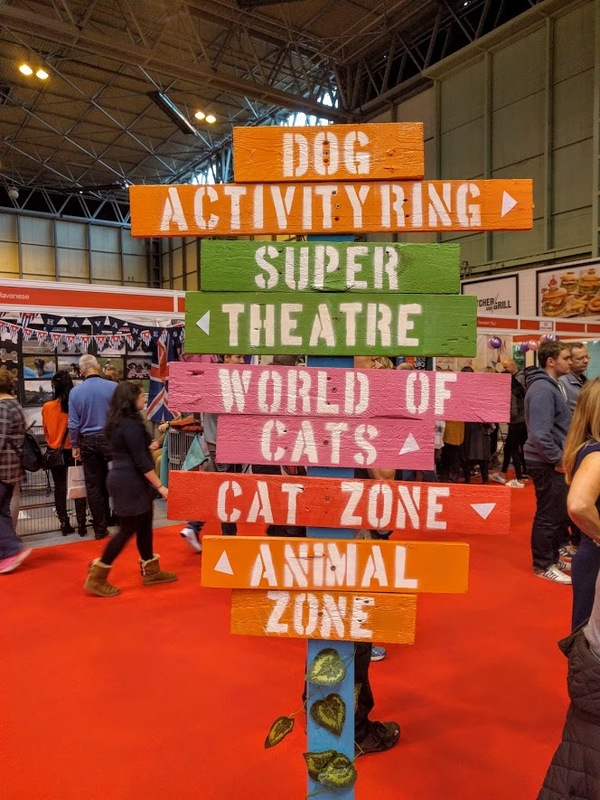 This was a few seconds from the main Eukanuba stage which was hosting a number of great acts throughout the weekend (including Super Vet Live! More on that later…). Our set-up was, thankfully, very quick and easy! We had our Scratch to Win prizes and our Win a Holiday display to perfect as well as packs about our service. Some of the other exhibitors had huge stalls with big teams to help. There was an inflatable stall which was really cool and interesting, they sold products to help fight fleas – nice! We left the NEC early and arrived at our hotel nearby ready for a quiet night and an early start! National Pet Show in VR! This is a photosphere of our National Pet Show stall! Either drag the photo around using your mouse, or open it on a mobile device and use a VR headset (such as Google Cardboard). Have a look around as if you were standing there! An early start (and a nice big breakfast) and we were at our stand. We set up before infamous voice rang across the tannoy; “The National Pet Show 2016 is now OPEN!”. For this year’s shows, we decided to have a few small competitions alongside one big competition. Our scratch cards were a big hit. People were able to win: 10% off of Paw Prints Jewellery, 10% off a Dotty Dog Art portrait, a full size Dotty Dog Art portrait, or a fully paid piece of Paw Prints jewellery. If our visitors weren’t successful in their scratch card fun (or even if they were! ), we also had our pet friendly holiday to win! Those lucky folks that filled in the win a pet-friendly holiday also signed up to our blog, which you can do here! Getting visitors in with competitions was a great way to open the lines of communication with them. Talking about the death of your pet is always hard. It’s even more so when you’re at at show dedicated to happy, healthy, living pets! Having a chance to talk to some of you in person has been brilliant. It was a great chance to spread our message: we believe in compassion. There were three of us on the stand over the weekend. Rebecca and Reuben, our Head of Petrest Cremations and Bereavement Advisor for Petrest, and Nicole. Nicole is the Marketing Assistant who is responsible for these wonderful blogs and all of our social media channels (side note, have you seen our Facebook, Twitter, or Pinterest pages recently?). We each took it in turns throughout the weekend to have a wander around the show and get involved in the different talks and displays around. Nicole was happy to see there was a whole stand dedicated to Manchester Terriers! Being a Manchester Terrier pet mummy herself, getting to meet lots that look like her little boy, Finlay, was brilliant. She may have had to visit the stall a few times over the weekend. For research purposes, obviously! 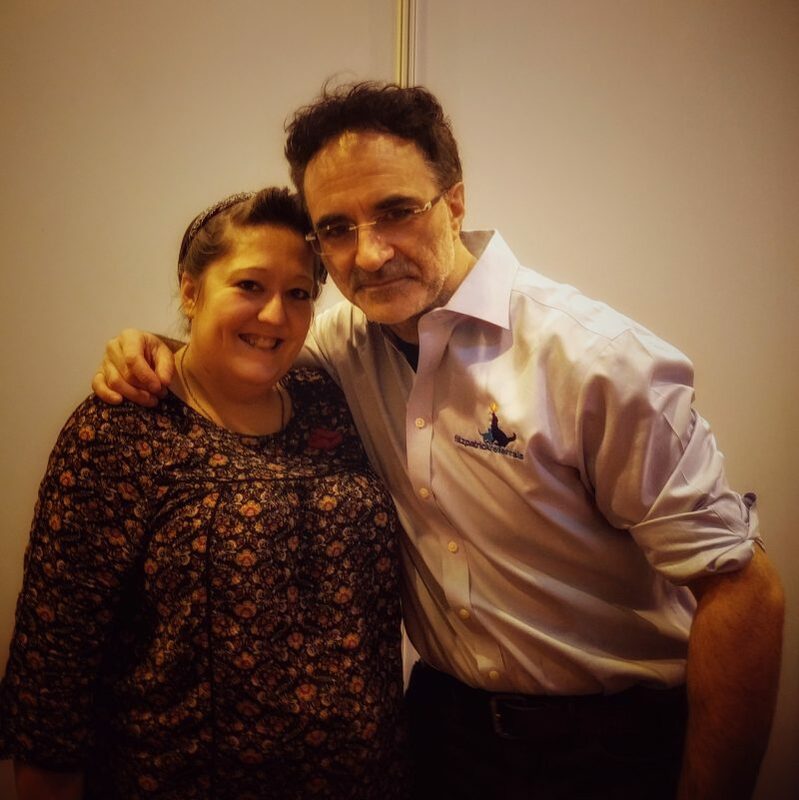 Once the public had left the show hall, the exhibitors gathered to have a drink together and listen to a talk by the new owner: SuperVet Professor Noel Fitzpatrick. Professor Noel has taken over the National Pet Show (both Birmingham and London), Dog Fest and the One Live music festival next year in Guildford. It was great to hear someone so passionate about changing pets’ lives talking so openly and honestly to the stall holders and exhibitors. Up early again, we were back doing the same thing on the Sunday! Getting to talk to people who visited our stall was a wonderful experience. There are so many different pets out there, and so many different enthusiastic owners with many stories. It’s hard talking about the end of your pet’s life, but asking someone “have you considered what you will do when that day comes?” really does put them on the spot. Most people answered with “No I don’t want to think about it”, which is absolutely fair. Our passion has always been that the decision is a hard one. Having to make lots of other decisions about where to pick your pet up from, when you’ll get them back and which casket or urn they will come home in, is harrowing. We believe in making all of those decisions before they’re needed, just like humans make funeral plans. Then all that is required is a phone call and all the arrangements have been made. On the Sunday, Nicole took a few hours to have a walk around the show and get some photos and video footage for our review. See the video below, and check out our brand new YouTube channel which will have more videos added soon. This may have included another trip to the Manchester Terriers stall. It did, however, also include watching a great display from the East Anglian Staffordshire Bull Terrier Display Team and a Dog Training Display at the Hill’s School 4 Dogs. She managed to have a chat to lots of cat owners in the cat area. So also stopped by for a quick talk on cat behaviour issues, in the All about Cats Demo area. One of the best parts was getting to see the rare breeds and weird and wonderful pets on display! There really were so many choices. From the tiniest frogs and geckos, snakes, lizards, dragons, cats, dogs, chickens… and even SPIDERS (Nicole shudders at this one!). She was pleased to meet some Dandie Dinmont Terriers and Glen of Imaal Terriers, both of whom will be featuring in this week’s mini blogs about rare breeds. Check back on Thursday for that one! 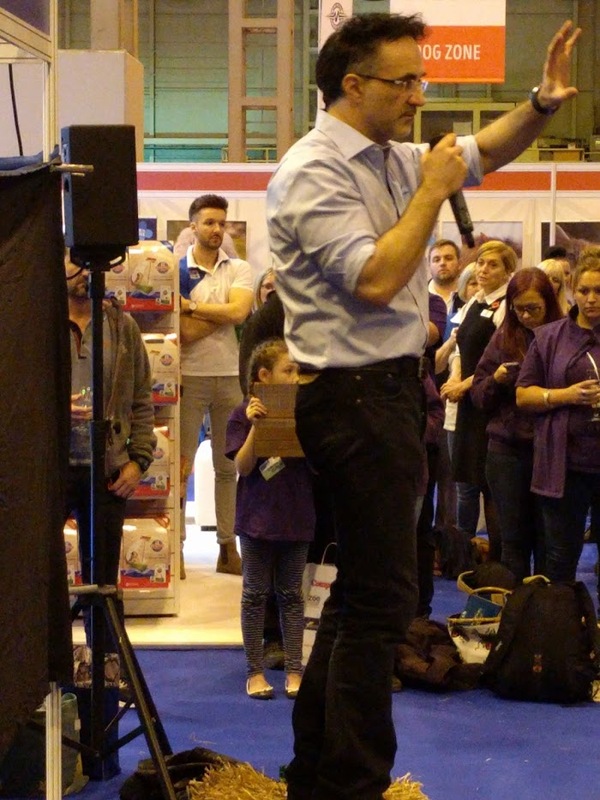 On both days, Humanimal Trust founder and Channel 4’s SuperVet Professor Noel Fitzpatrick gave two speeches to eager audiences. On both days those talks attracted large crowds that queued around stalls for the chance to see an inspirational speaker. Nicole was lucky enough to see SupeVet live on Sunday at half 12. Intending on getting a few pictures and going back to the stall, Nicole ended up staying for the entire speech and found it amazingly inspiring. The message of One Medicine as very powerful and definitely an idea worth sharing. There were some sneak peaks of upcoming episodes of SuperVet on Channel 4, but mostly the speech was about Professor Noel Fitzpatrick. His driving ambition and pride in his revolutionary veterinary skills really came across. For anyone wishing to see some of the speech, check out the various videos that have since been uploaded to YouTube and follow The Super Vet on Twitter! 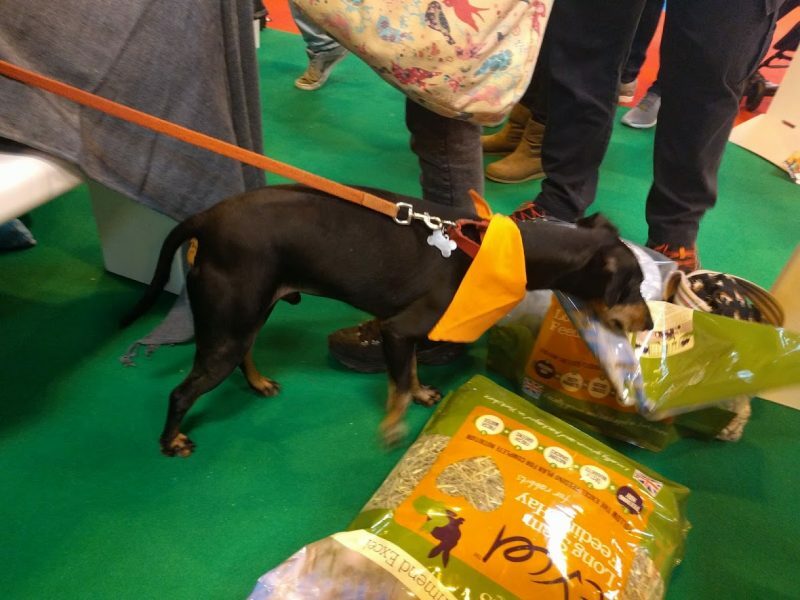 We really enjoyed our time at the National Pet Show. We found there was enough going on to keep everyone entertained while not being too full that public felt overwhelmed. It was easy to strike up conversation with people. We asked them what they had visited and what they had seen. It’s been a real eye opener that pets aren’t limited to just cats and dogs. Pets come in all shapes and sizes, fur and scales included! On the whole, we had a great time and would highly recommend the show to anyone. We may even run a competition to give away some free tickets, so stay tuned! !